The construction of talent towns on Shubo Avenue in Guiyang Hi-tech Industrial Development Area, Guizhou province began on Aug 30. The 4th China Green Expo will be held in Qiannan Bouyei and Miao autonomous prefecture, Guizhou province in 2020, with the news announced at a mobilization meeting held in Duyun city on August 31. The Qingyan and Dongtun service stations, which are located along the S89 Huaxi-Anshun Highway in Southwest China's Guizhou province opened on Aug 29, a move showing the province's determination to further improve its tourism services. 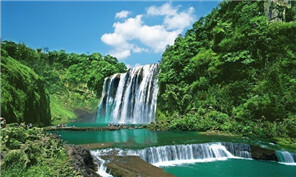 For the convenience of citizens, Guizhou province integrated services for government affairs at the end of June, making government applications quicker and easier. 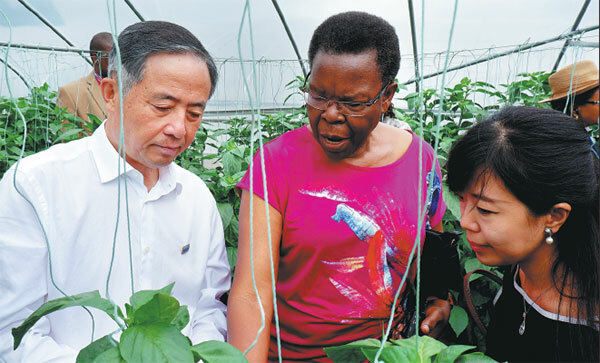 African countries are enthusiastic about Chinese assistance in agriculture and infrastructure, as the populous continent attempts to eradicate hunger in a decade and speed up modernization to achieve the aspirations of Agenda 2063, senior African officials said. 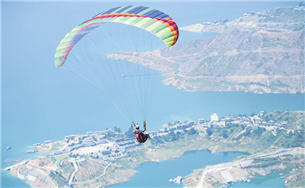 The 2018 Guizhou International Paragliding Invitational Tournament kicked off in the Liuzhi special district of Liupanshui city, Guizhou province, on Aug 27. The 4th Guizhou (Anshun) International Stone Expo concluded in Anshui city of Guizhou province on Aug 29. The four-day event attracted more than 400 enterprises and over 1,000 experts from the stone industry. In order to further integrate big data and the real economy, the Guizhou Big Data Development Administration and other departments are giving enterprises special vouchers for cloud usage.